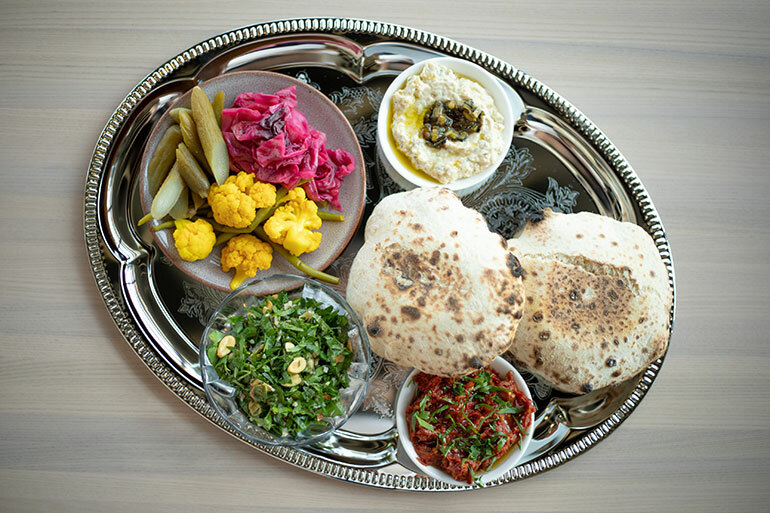 Israel — both ancient and new, tiny but cosmopolitan — has given rise to a rich cuisine that incorporates the cultures of three continents while staying focused on local ingredients. 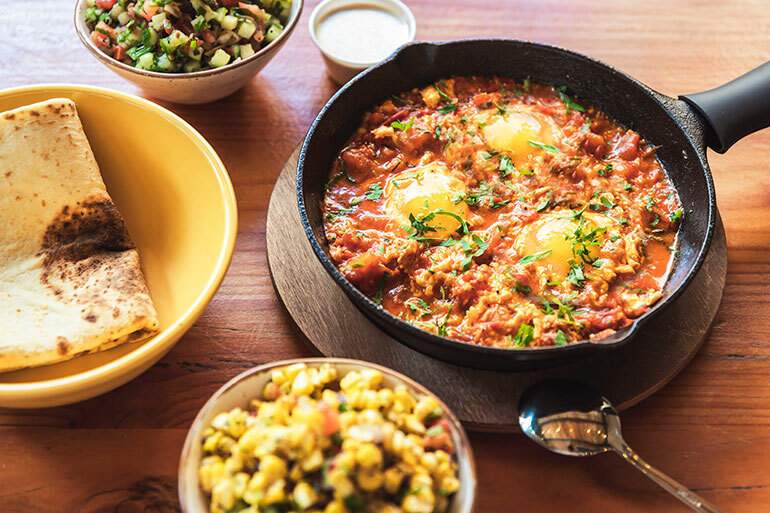 Chefs from that country of just under 9 million people have brought their food to the United States — including nearly ubiquitous hummus, photo-friendly shakshuka and broadly appealing schnitzel — while incorporating local American ingredients and customs. Of course, those foods aren’t just Israeli. Hummus is common throughout the Middle East, shakshuka in its current form is often traced to Tunisia, and schnitzel is a staple of central and eastern Europe. But you find them all together in Israel. That’s recent history for Israel. Although the modern country was just born in 1948, the land had already been settled, conquered and resettled many times before it was annexed by the Roman empire around 2,100 years ago. The port of Jaffa, which archaeological records indicate was founded more than 4,000 years ago, is called Yafo in Hebrew, and it’s now a trendy section of Tel Aviv that chef Shai Fargian says illustrates the cosmopolitan qualities of modern Israeli culture and food. “I think that Yafo is a great regentrifying city,” said Fargian, the chef of two-unit Yafo Kitchen in Charlotte, N.C.
Yafo Kitchen is part of FS Food Group, which also includes Paco’s Tacos & Tequila and Mama Ricotta’s in Charlotte, and Midwood Smokehouse, which has four units in North Carolina and one in Columbia, S.C. Originally from Karmiel in northern Israel, Fargian said he and FS Food Group owner Frank Scibelli named their Middle Eastern concept after Jaffa because of the area’s multilingual, interfaith culture — it’s about one-third Muslim — and cool bars, restaurants and art galleries that led Vogue magazine to feature it as Tel Aviv’s hottest area in 2016. “It’s become super-cool in the last three, four years,” Fargian said. Apart from the mostly Muslim Arabs (some are Christian), who have been in Israel in general and Jaffa in particular for centuries, the country’s Jews, who were expelled by the Romans in the year 70, have returned in the past century-and-a-half from throughout Europe, North Africa and the Middle East, bringing with them the food cultures they developed and adapted over the centuries. “It’s a melting pot of a lot of different cuisines, mixed with tradition, and kind of religion,” said Einat Admony, an Israeli restaurateur based in New York City, who Fargian said is his mentor. The religion comes in based partly on Jewish dietary laws, which ban pork and shellfish, as well as eating meat and dairy in the same meal, but also in other practices, such as not working on the Sabbath, which starts on Friday at sundown and ends on Saturday at sundown. Lighting a fire, or turning on a burner, counts as work, which means hot food eaten on Saturday has to have been started on Friday afternoon and not touched since then. “So even if a Jew came from Morocco, she created her own dishes [different from those of Muslim Moroccans] to make sure that it doesn’t have dairy mixing with it, but also she needs to make something that will cook for 12 hours,” Admony said. 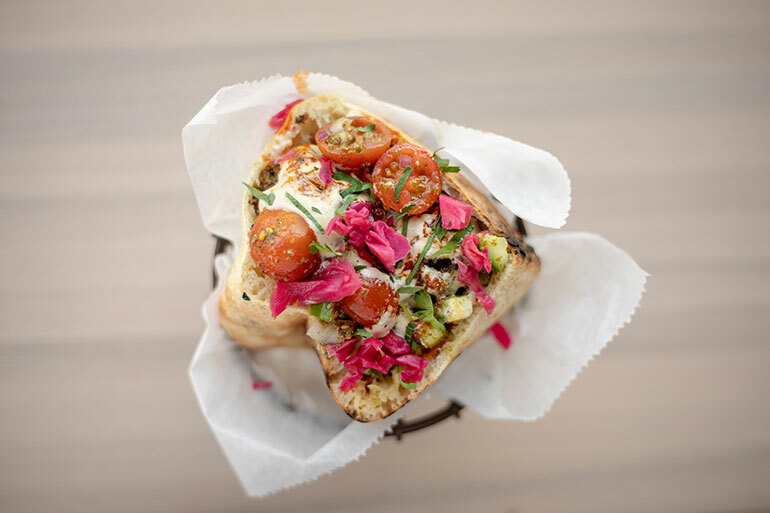 Admony operates Taïm, a five-unit fast-casual Israeli vegetarian restaurant; casual-dining Israeli restaurant Balaboosta; and Kish-Kash, a couscous bar that opened in June featuring North African Jewish cuisine. Her family moved to Israel from Iran and Yemen, but her neighbor growing up was Moroccan, “and most of my life my favorite was Libyan food,” she said. Often neighbors would share dishes and they found that they went really well together. So at Kish-Kash her hummus is served with chermoula — a sort of North African pesto made with cilantro, parsley, garlic, olive oil, lemon juice and spices, such as cumin and coriander — as well as the Eastern European egg bread challah. At Balaboosta she tops hummus with ground beef. “People are fascinated by that,” even though it has been commonplace in Israel since at least the 1980s, Admony said. Maybe that’s because hummus is thought of as vegetarian food in the U.S., and vegetables are, indeed, integral to Israeli cuisine. Recently at Balaboosta that was cauliflower shawarma. For that dish the cauliflower is spiced like the spit-roasted meat. She used to grill the cauliflower and serve it with the sesame sauce tahini. “But now it’s fried, because that’s better, of course, and it shrinks much less,” she said. Israel doesn’t have diplomatic relations with many of its neighbors, making trade a challenge. Possibly as a result of that the country is 95 percent self-sufficient with regard to its food, according to a recent report by menu-research firm Datassential. So local ingredients are ingrained in the culture. In fact, hyper-local products are particularly important in Israel, Fargian said, noting that, as a northern Israeli, his version of the parsley-and-bulgur salad tabbouleh is greener than more grain-heavy versions in the more arid south, but less green than in lusher Lebanon. “In the past they didn’t serve fish in Jerusalem,” he said, because it’s about 40 miles inland from the coast. By contrast, Charleston, S.C., a three-and-a-half hour drive from Charlotte, is considered local, he said. “It took time for me to adjust from the way I used to source to the way I do it here,” he said. 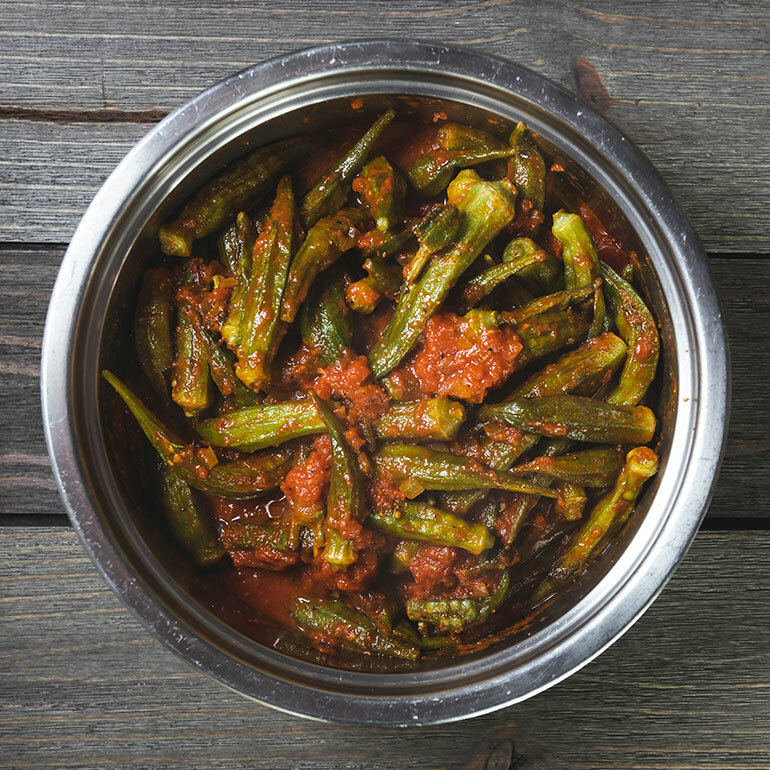 But he found that a lot of southern ingredients are similar to Israeli ones, like okra. “Halfway around the world, it’s still grandma’s food,” he said. He fries it, without coating it first, and then cooks it with white northern beans in tomato sauce, similar to a dish he had in Jerusalem. 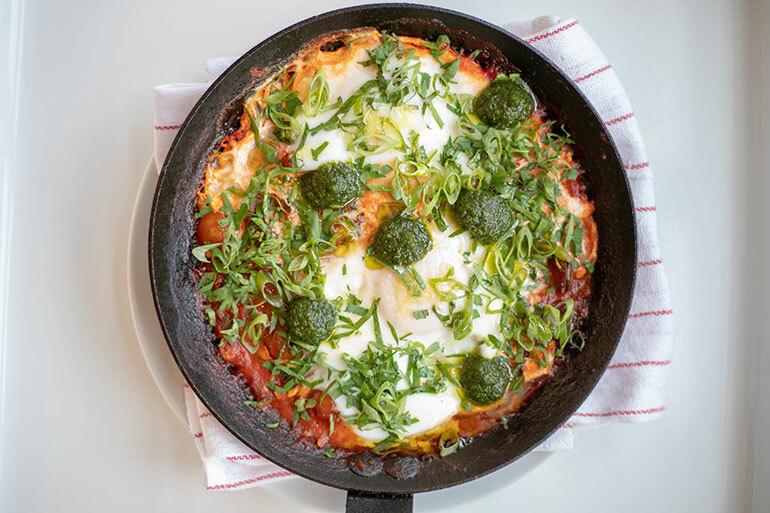 His Shakshuka — a dish of eggs poached in a spiced tomato sauce — is based on the style prevalent in Yafo made of tomatoes, eggs, garlic and chile, but not the peppers and onions that might be found in another version. He served it at Yafo kitchen for two months, during the height of North Carolina’s tomato season. 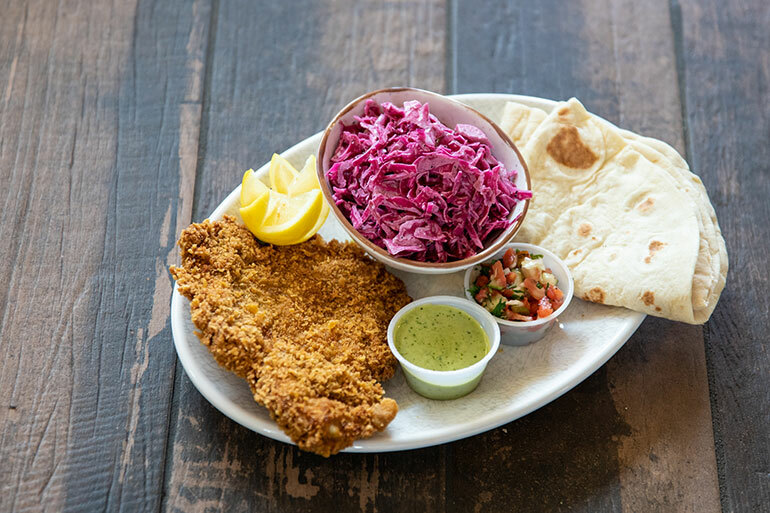 He also makes chicken schnitzel, which he serves with a salad of cucumbers and tomatoes that’s prevalent throughout the Mediterranean and is sometimes called Israeli salad, though Fargian said it could just as easily be called Greek or Persian salad. “I always tell people the most Israeli dish you can find is chicken schnitzel in pita with hummus and Israeli salad,” he said. Alon Shaya has two Israeli restaurants. 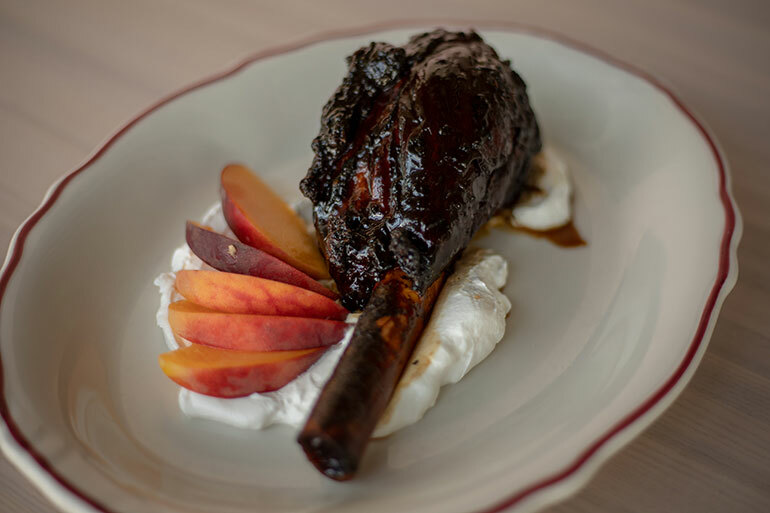 Saba, which means grandfather in Hebrew, opened in New Orleans in May, and Safta, which means grandmother, opened in Denver in August. He adapts both to the food cultures around him. He borrowed from the southern custom of adding whipped egg whites to hushpuppies to make them fluffier and does that with his falafel. His lamb kebabs have buttermilk-soaked breadcrumbs mixed in and his shakshuka in New Orleans has shrimp. “We have crab hummus, because why not?” he said. 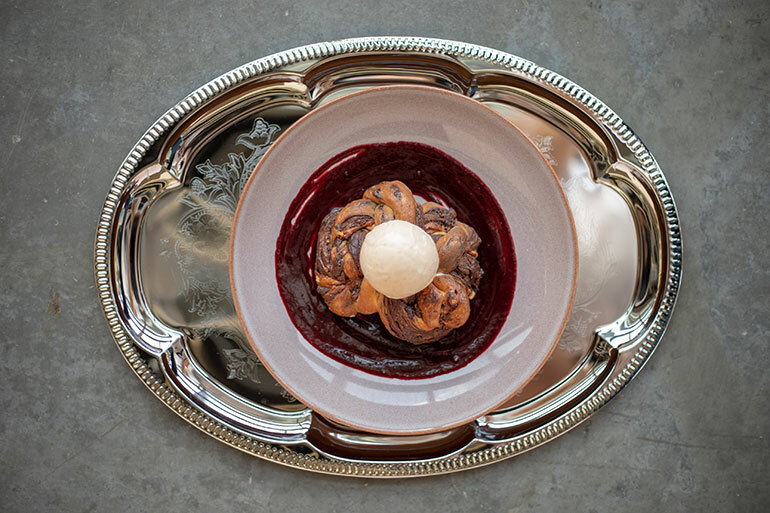 In Denver, he’s using Colorado mushroom varieties such as cinnamon cap and lion’s mane, and of course local lamb. 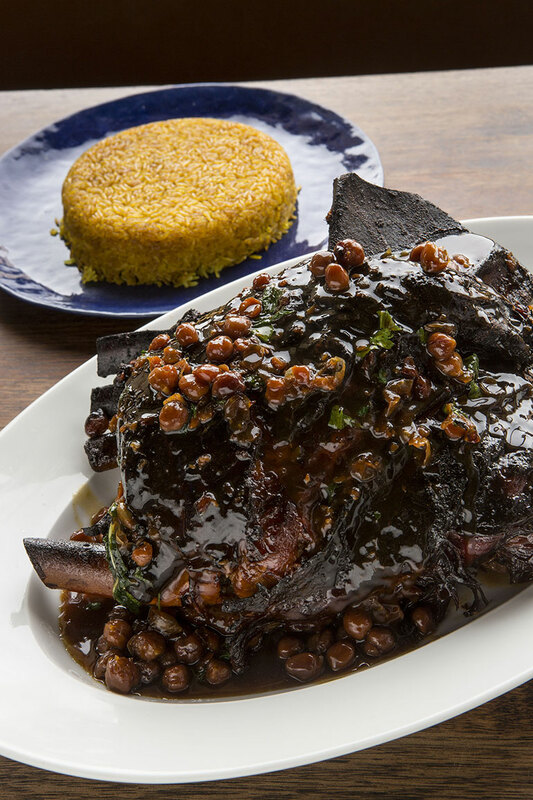 “We have a lamb shank that is slow-roasted and glazed with pomegranate that people really, really love,” he said. “We’ve got a pretty obsessive pita program,” Asher said. The flatbread will be baked in an 800-degree wood oven with locally milled whole wheat flour made into fermented dough. Other local influences at the restaurant, slated for a late 2018 or early 2019 opening, include chiles from the Colorado town of Pueblo made into the Yemeni-Israeli condiment skhug, and roasted local Olathe corn on top of hummus. The labneh, a strained yogurt cheese prevalent throughout the Middle East, will be made using local Sheepskyr from local chef Alex Seidel’s Fruition Farms Creamery. This story has been updated with the correct locations of Midwood Smokehouse.